Westwood is a charming Edwardian town house located in a quiet residential area of Chorley. The park, town centre and local services lie within easy walking distance, and access to public transport is convenient as the bus stop is close by. 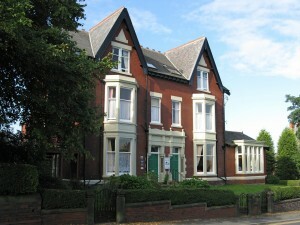 As the longest established care home in the Chorley area, Westwood has built up a strong reputation for delivering quality care. Over the years we have been consistent in achieving a high standard in our inspection reports. Westwood offers a personalised 24-hour quality care service for up to 20 people over the age of 65, delivered by our highly trained, well experienced team of staff. We provide long and short term care, also respite breaks. Why not come to view Westwood and see for yourself? Just pop in or call to make an appointment, we will be pleased to see you.